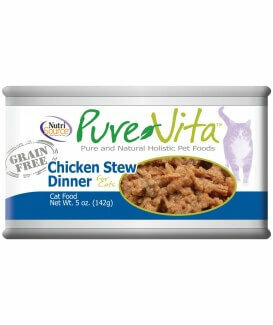 PureVita Brand Grain Free Chicken & Peas Entrée combines the delicious taste of chicken with a variety of nutritious fruits and vegetables. 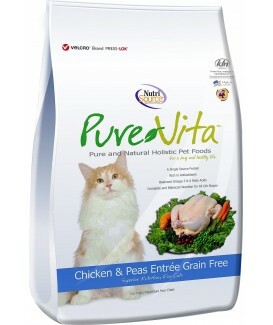 And because it is made by NutriSource, you can be sure it has our exclusive "Good 4 Life" system and the finest quality ingredients available for your cat or kitten. 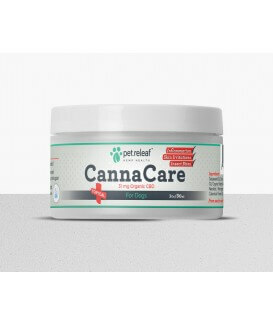 Available in: 2.2 lbs., 6.6 lbs., 15 lbs. 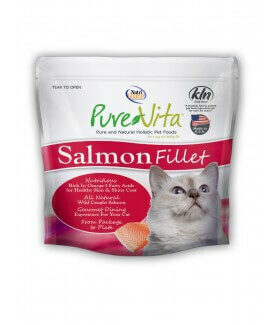 PureVita Brand Grain Free Salmon Entree combines the delicious taste of salmon with a variety of nutritious fruits and vegetables. 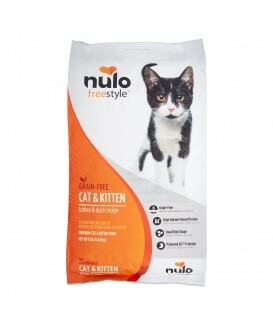 And because it is made by NutriSource, you can be sure it has our exclusive "Good 4 Life" system and the finest quality ingredients available for your cat or kitten. Our meaty minced and shredded morsels help to satisfy your cat’s desire to eat like she would in the wild. 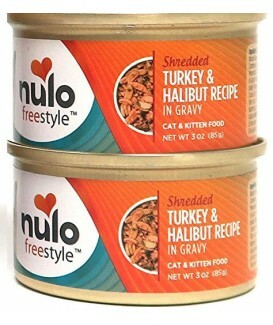 Switch between this salmon & turkey minced recipe and one of our shredded recipes to give her the variety she craves. 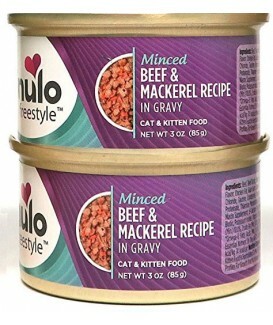 Our beef & mackerel minced recipe is filled with rich protein and a savory taste your cat won’t be able to resist. 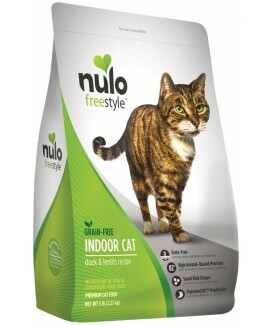 Your little tiger will always be ready for meal time. 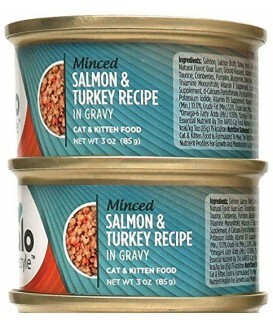 The tasty gravy in our turkey & duck minced recipe will help your cats stay hydrated and healthy while providing just the right combination of rich proteins to keep them satisfied during every meal. 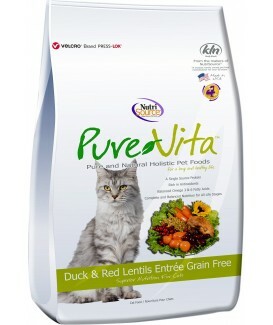 Our feline friends require rich protein to stay fit and healthy. 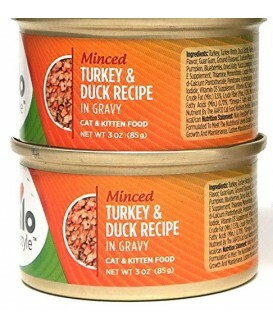 With 82% of proteins coming from real meat like duck, chicken and turkey, your cat will be sure to get the amino acids they need to build strong muscles and bounce back from a day of play. Our low carbohydrate ingredients and advanced probiotics insure they’re getting the nutrition they deserve. 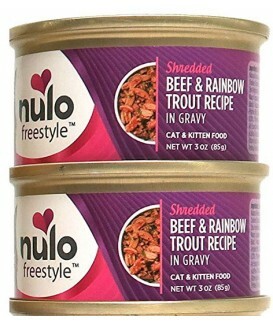 Staying fit and trim can be more challenging for some cats. 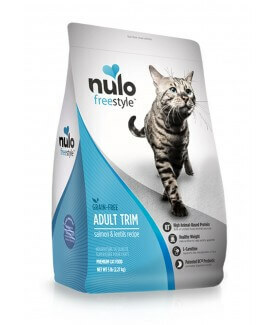 That’s why we’ve made our Nulo FreeStyle Adult Trim formula. 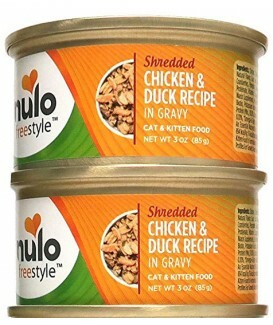 That’s why our Grain-Free Turkey & Duck recipe is formulated with 84% animal-based proteins and low carbohydrate levels, making it perfect for growing kittens to adult cats. 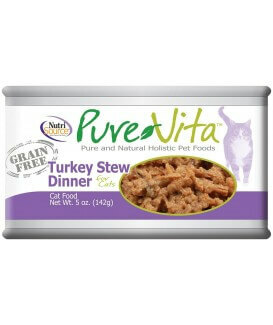 In fact, compare our top four ingredients against the brand you’re currently feeding your pouncing little athletes. 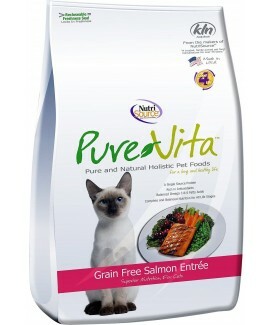 Indulge your cat with Wellness Kittles natural, grain-free crunchy cat treats. 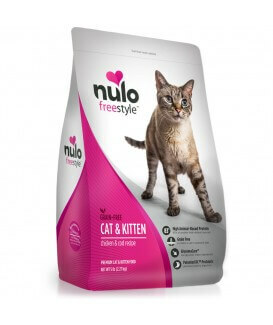 At only 2-calories per treat, Kittles are the purrfect way to show your kitty love. With 6 flavors to choose from, these crunchy bites are not only delicious, but help clean teeth too!